Almost universally regarded as the greatest of American presidents, Lincoln presided over a nation torn by the Civil War. He prosecuted that war to restore the Union, and, in the process, he set in place the legal machinery by which slavery in the United States was abolished. Lincoln was a leader of extraordinary courage, wisdom, eloquence, and compassion. Although he fought the war without compromise, he advocated amnesty and forgiveness for the breakaway Confederate states. 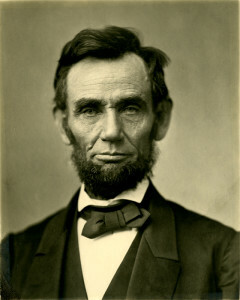 Lincoln was assassinated by John Wilkes Booth, a Confederate sympathizer, on April 14, 1865. The president died the following morning.